“I don’t think it’s the president that’s putting her in danger, I think it’s her ill-thought-out words that she used to describe the greatest terror attack on the history of United States soil which killed nearly 3,000 Americans. Make no mistake, no congressperson, no American should be threatened and no one is inciting violence. I think what they’re doing is showing outrage toward words that should have been better thought out.” – Trump campaign advisor Mark Lotter, speaking this morning on CNN. “I don’t think it is the President putting her in danger. It is her ill thought out words,” says Trump 2020 Campaign aide @marc_lotter on Rep. Ilhan Omar. 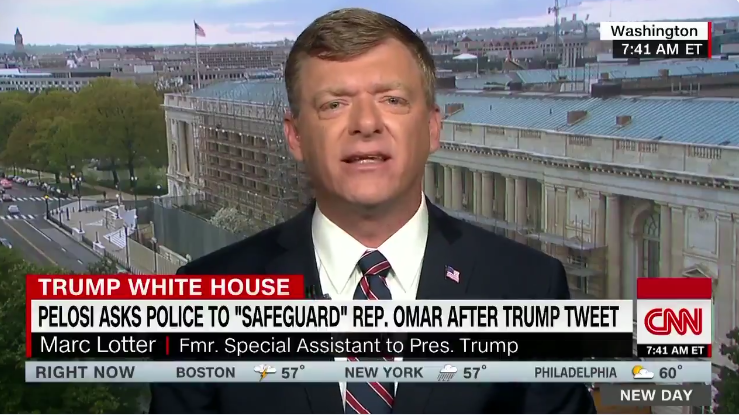 The post Trump Campaign Blames Rep. Omar For Death Threats appeared first on Joe.My.God..